Experience. It’s probably not the best idea to try and start a business if you have absolutely no work experience. The idea of working for someone else may not appeal to you, and the reality of starting from the bottom to get to the top might disgust you, but the fact is you need some work experience. One way to think of your job is like a research time period. You get to see the ins and outs of different businesses and see what works what doesn’t work and what you would change if you were able. It may also be a good idea to take some classes so that you are able to speak the language of business and finance. Raise money. Always overestimate how much money you think your start-up business is going to need. Do this so that you do not fail to meet projections. It is harder to raise money after you fail to make projections. This is when you can also go to the bank and try to get a small business loan. Write out a business plan. Do not keep your business plan in your head. 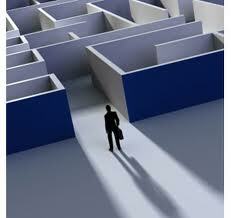 Things get lost and forgotten in our heads and so they are not the best place to keep your business plan. Write out your business plan. Your written plan is also the key to raising money. You can show people what your plans are and that can lure in financers. Your plan should include things like: market data, tests to prove your product is going to sell, sales projections and profits, long term goals, and more. Create your team. When you are planning out your business and trying to figure out who you are going to involve there are some things you should think about. First what are your strengths and weaknesses? Once you know the areas in which you are more weak you can hire people or partner up with people who will make up for that weakness.